Submitted by lmcshane on Mon, 10/08/2018 - 09:32. Now that the entire country has survived weeks of painful, dredged up memories from two former high school students - one who will now decide the fate of Supreme Court cases - do we need to do a complete accounting for all of the sitting public office holders and legislators? Afterall, it's just the right thing. “The woman who said she was a victim forgave him, God bless her, but she didn’t recant those allegations. ... Forgiveness is a great quality in her, and I give her that. But she’s not recanting. Recanting means it didn’t happen,” he said. How did they behave in high school?? What is their sexual history? Grab the pitchforks and torches, people! We have a lot of politicians to hold before the fire, starting with Martin Sweeney. 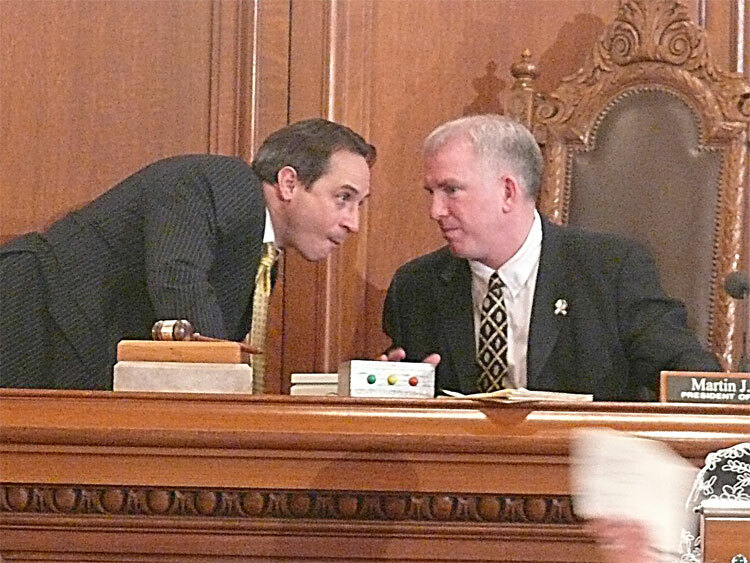 "Compelled by the '#MeToo' movement and as a resident of Senate District 23, I feel it is important to stand up and raise awareness of the fact that Martin Sweeney, who is running for the State Senate, had taxpayer money, almost $90,000, paid for his sexual harassment while he was Cleveland City Council President"
Submitted by lmcshane on Tue, 10/09/2018 - 08:54. The suit accused former County Administrator Dennis Madden of making inappropriate comments - and also accused Commissioner Tim Hagan of threatening her job when she complained. Word in legal circles is that at a Friday conference with a federal judge, an agreement to settle the case was reached and all that remains is the commissioners approval. The stage is being set for the public acceptance of extremist assassinations in the U.S. and it could be by the year 2012.